Focus Marketing supplies door-to-door sales staff for mainly energy clients who are seeking customers to switch from other suppliers. The company’s growth is continuing, with an office just opened in Christchurch and one planned for Hamilton. Staff will reach 100 at the start of the next financial year. Four of the five original commission staff are still with the company in full-time positions as trainers and managers. Focus Marketing sees training as an investment in people getting on the first steps of a career ladder. The Judges were impressed with the focus on employee training and development. 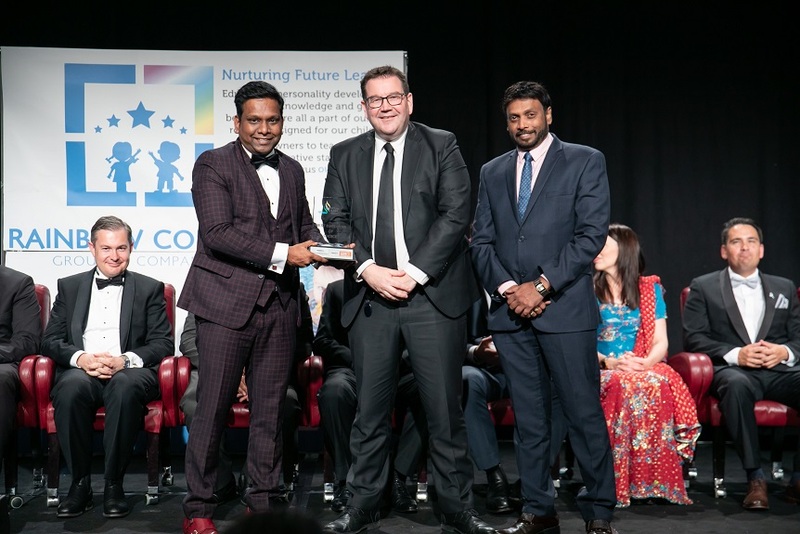 Kiran Arul, Winner of the ‘Best Employer of Choice Award’ with Grant Robertson and Link2 Services Limited Chairman & Managing Director Indra Sirigiri.